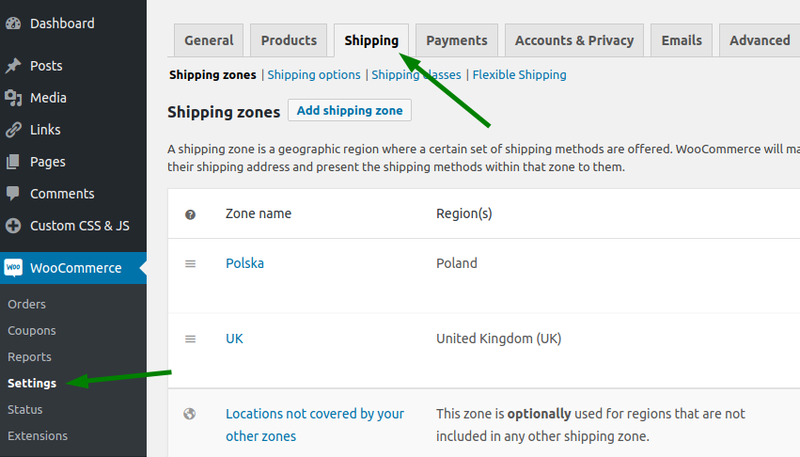 Once you add the Flexible Shipping method, you need to click it. 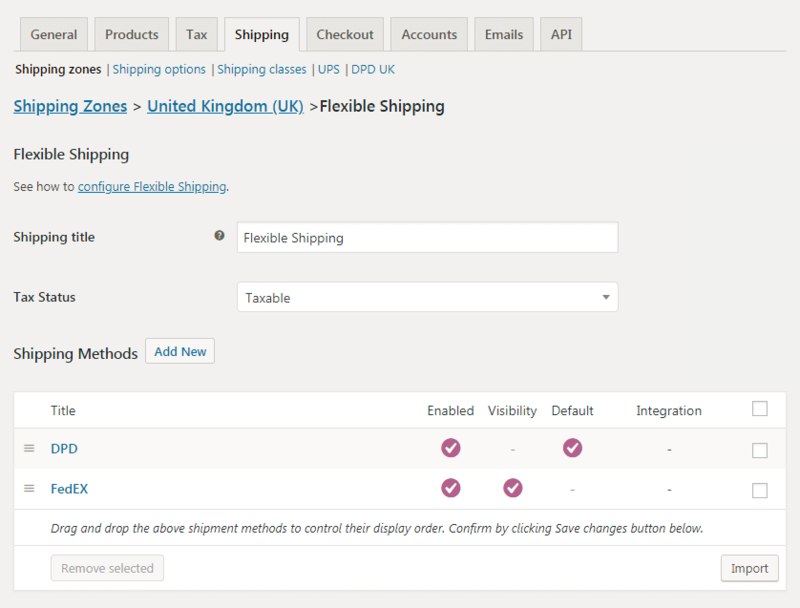 You'll see a new screen where you can configure your Flexible Shipping's shipping methods. As you see in the screenshot below, there are DPD and FedEX shipping methods inside the Flexible Shipping method. 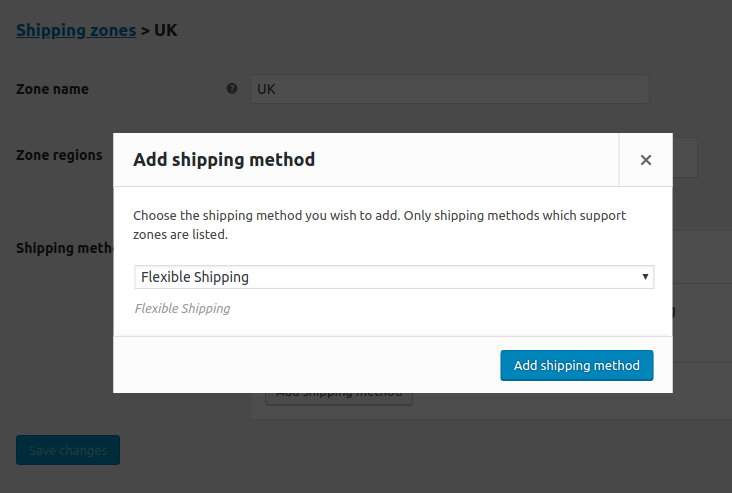 Enable/Disable - enable or disable the Flexible Shipping method. Shipping title - visible only to an admin, handy when you add multiple instances of Flexible Shipping. None – tax won't be applied to this shipping method. Taxable – tax will be applied to this shipping method, tax rates for shipping can be set in WooCommerce tax settings. Important! Calculations for rules, i.e. cart totals are always based on WooCommerce tax settings. Flexible Shipping uses the prices and totals that are displayed in your store. For example, if you display prices in store with tax but you enter them without tax, Flexible Shipping will use the prices with tax added.